A new year, a new “gate” in the National Football League. First, we had the New England Patriots and Spygate, then we had the New Orleans Saints and Bountygate, the fallout from which is still settling. 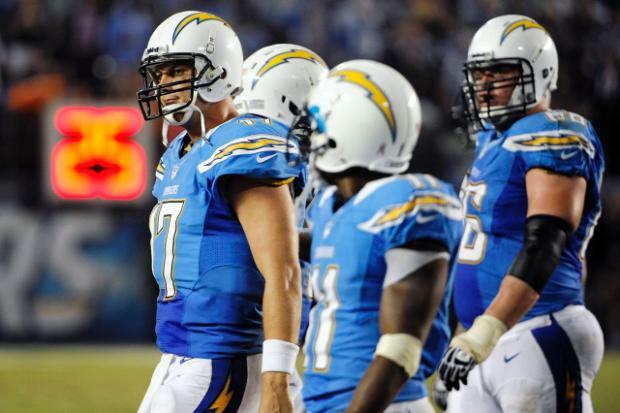 And now, it’s the San Diego Chargers who find themselves in a sticky situation. Literally. Jay Glazer from Fox Sports reported Sunday that an official spotted a Chargers equipment manager hiding something in a towel he was giving to players during the Monday night game against the Broncos. The employee refused to turn over the towel, but when officials asked him to empty his pockets, they confiscated a sticky substance. And just like that, a scandal is born. Welcome, my friends to…Stickygate. Stickum has been banned by the NFL for years, but was once used liberally to help players hold on to the football. The NFL is investigating and the Chargers are on bye week (and likely doing laundry). Coach Norv Turner says no one on his team used Stickum during the Chargers’ 35-24 loss to the Denver Broncos on October 15th. With six turnovers, you wouldn’t think anyone would accuse the Chargers of having sticky fingers. Speaking of gates…Saints Assistant Coach Joe Vitt has returned to the team following his Bountygate suspension. He will be on the field at Mile High Stadium this week when the Saints play the Broncos on Sunday Night Football. So that’s what the Baltimore Ravens look like without Pro Bowl Linebacker and future Hall of Famer Ray Lewis. The Ravens defense allowed the Houston Texans to score more than 40 points on Sunday, something they haven’t done since 2007. The team lost both Lewis and Cornerback Lardarius Webb for the season last week. And no defense is pretty hard to overcome with no offense. Ravens Quarterback Joe Flacco recorded the lowest rating for any quarterback since 2008. The Ravens lost to the Texans 43-13. Johns Skelton was back at quarterback for the Arizona Cardinals this week. His welcome back gift? He was sacked seven times by the Minnesota Vikings (and is probably still having nightmares about Brian Robison and Jared Allen). Kevin Kolb was hurt after being sacked more than 20 times in three games. The two are taking turns taking sacks and trading injuries. The Cardinals have allowed their quarterbacks to be sacked 35 times this year, the most in the NFL. Once again, I hope the Cardinals invest in some protection…or have a binder full of backup quarterbacks. Yes, people…that one was just too easy. The best news in the NFL for week seven…Colts Head Coach Chuck Pagano has been released from the hospital and was able to watch his team beat the Cleveland Browns at home…from home. Pagano has been hospitalized and undergoing treatment for leukemia since the end of September. And NFL Commissioner Roger Goodell says that unless the quality of the game improves, this could be the last year for the NFL Pro Bowl. This entry was posted in Broncos, Cardinals, Chargers, NFL, Ravens, Saints, Vikings and tagged CCQB, Roger Goodell, Stickygate.